As Jerry Brown is sworn in as California’s new governor today, renewable energy advocates should feel good about the future and prospects for continued progress in 2011. Outgoing Governor Arnold Schwarzenegger was certainly a big supporter of clean energy, but it was Brown who helped jump-start the entire renewable energy industry in California in the early ’80s. Having him back in the driver’s seat should be comforting news. As CEERT executive director V. John White pointed out in a recent story in The Sacramento Bee, Brown now has the opportunity to finish the job he started three decades ago. No doubt California is a much different state today than it was when he was the nation’s youngest governor, as the San Francisco Chronicle points out. The San Jose Mercury News also predicts that the past may be prologue to the future. And if that is indeed the case, look for Brown to challenge the status quo in unpredictable ways, including his approach to breaking regulatory bottlenecks and doing more with less. During his campaign, Brown announced a “clean energy plan” that he said could add 20,000 MW of new renewable energy capacity, creating two to three times as many jobs as equivalent investments in fossil fuels. Looking into the crystal ball for 2011, the effort to place into statute California’s public policy of purchasing 33% of the state’s electricity from renewable energy resources has once again gained new life with the reintroduction of Senator Simitian’s RPS bill,this time as SB 23. Can Jerry Brown succeed where Gov. Schwarzenegger failed, in terms of gaining consensus on the nitty gritty details of how best California can implement a public policy already guiding public policy? Only time will tell, but a new year tends to breed optimism. Given the potential for green jobs in today’s depressed economy, it is clear that the California Legislature will be on the hot seat as Governor Brown attempts to get things moving in Sacramento. Looking back, 2010 was a year of significant progress according to the renewable energy scorecard, though numerous clouds linger on the horizon. Technologies such as solar photovoltaic (PV) systems and large-scale concentrated solar energy generation showed historic growth, especially in California, and attracted investment from utilities such as NRG and many others. Fuel Cell technology finally gained real traction in California, as reported this month by the LA Times. While Congress failed to pass a federal Renewable Electricity Standard or carbon regulation in 2010, it did extend the renewable cash grants program in December, a program that was instrumental in stimulating several new renewable projects during the recent economic recession. GreenTech Media reports that without this one-year extension, the U.S. renewable energy industry would have slipped into a severe slump. The same tax package, however, also included fresh subsidies for development of “liquid coal” technologies, a highly questionable compromise reflecting the new political expediency in Washington, DC given the November election results. Nevertheless, even this new line of subsidies will not be enough to save much of the US coal industry, as a recent story published on Grist shows, with a spate of operating coal plants likely to close due to new regulations finally being enforced by the federal Environmental Protection Agency. The less coal we burn, the greater the opportunity for wind, solar, geothermal and biomass plants to fill the void. Unfortunately, as we noted in our recent posting on Shale Gas, the biggest beneficiary of utility fuel shifting away from coal seems likely to be natural gas. 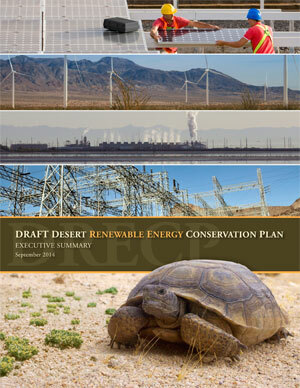 One of the greatest gifts Santa left under the Christmas tree for the nation’s renewable energy industry last year was the federal Department of Interior’s federal permit streamlining effort, which resulted in several new Concentrated Solar Power (CSP) projects being permitted in southern California. All told, some 680,000 acres of federal land in Western states such as California, Nevada and Arizona were identified as being suitable for large-scale solar power generation, reports the Wall Street Journal. And the federal loan guarantees offered by the federal Department of Energy have also been instrumental in the success of CSP projects, including Abengoa, the world’s largest parabolic trough project. Another big development in 2010 for accelerating adoption of cleaner power sources was the “cap and trade” carbon trading system approved by the California Air Resources Board (CARB) this past month and will go into effect in 2012. This historic first step in establishing a regulatory framework to swap dirty for clean electricity supplies — as well as transportation fuels – still has many unknown operating details to be hashed out. Some critics claim that what was missing from CARB’s program may be just as important as what was in it. At present, CEERT has a number of concerns and will continue to carefully evaluate the system’s implementation. The best advice for now? Proceed with caution! Among the critical details is whether utilities are required to invest the full value of emission allowances they receive for free into programs such as energy efficiency, renewable energy and rebates to low-income customers, all programs that can help meet AB 32′s carbon reduction goals.